cd release party oct 4th! This tune came about after an interesting time hanging out in a shop while getting an oil change. One of the guys there inspired this tune as we had a few conversations and it just kept rolling around in my head on my way home. I put some music to it and got his story down using mostly my imagination based on his own enthusiasm for having 8 years without having to worry about the cops. The guys put some really cool twists on the Shuffle rhythms of this tune and even though it started out as a slow groove, Frank always does such a great swing fast tempo on the drums that I thought we'd put it there and let it fly. Check it out and let me know what you think. 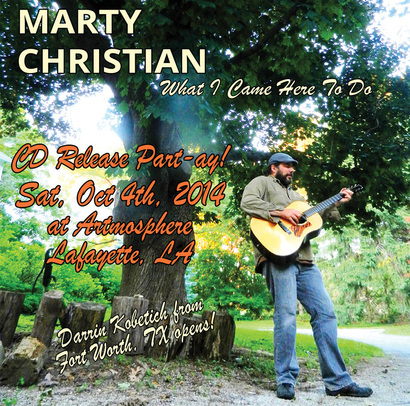 "What I came Here To Do" was recorded at Evangeline Recording Studio in Lafayette, Louisiana by Jerry LeJeune and features Frank Kincel on drums and Lee Zeno on bass, mastering by Tony Daigle - CD Release party is Sat, Oct 4th at Artmosphere Bistro in Lafayette, LA with Darrin Kobetich, Frank Kincel and Cal stevenson! . 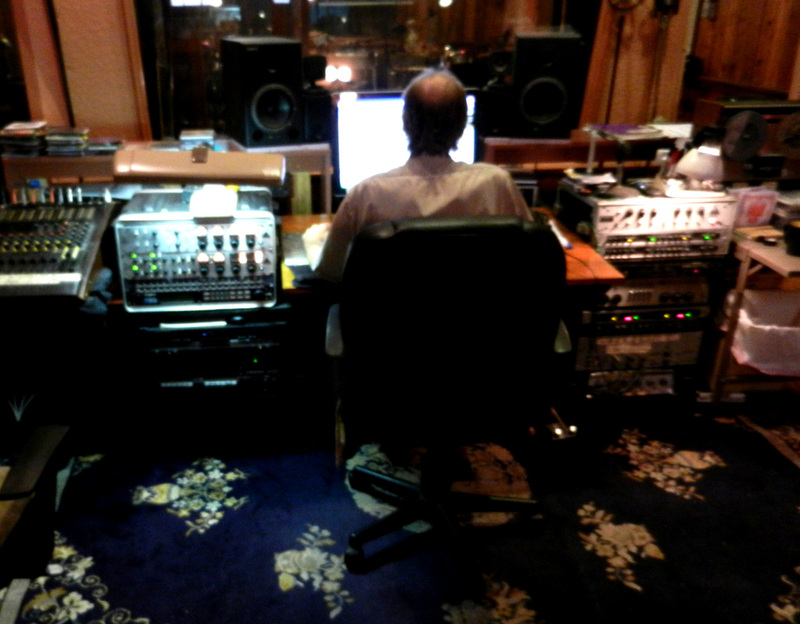 Check back on Saturday for the next tune! Click on the concert poster picture or hit the link below to check it out!